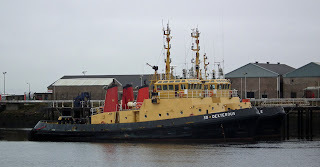 Coaster Cemsky in JWD 30 October 2011. 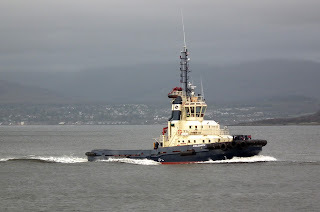 MOD police launch Harris off Greenock 30 October 2011. 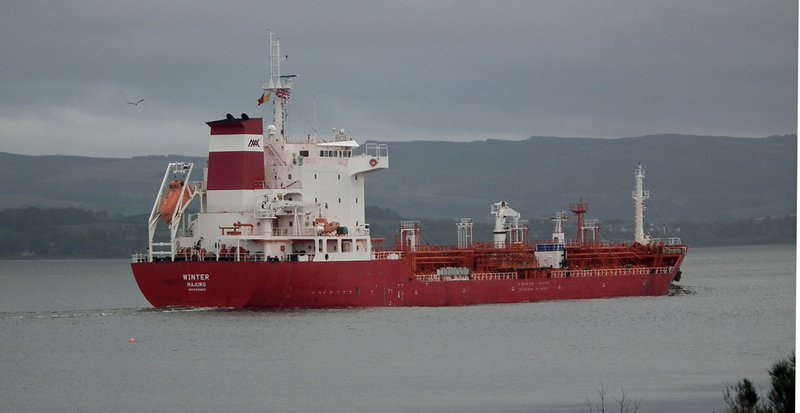 Tanker Winter inbound for Rothesay Dock 30 October 2011. Three Caledonian Macbrayne ferries connected to the Largs - Cumbrae service met in (I believe) a unique encounter 02 November 2011. 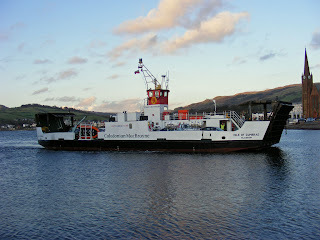 Isle of Cumbrae (1977), Loch Alainn (1997) and Loch Shira (2006). Strangely enough, the 1977 vintage is on the run! 1977 vintage Isle of Cumbrae returns to her native run in 2011! She arrived on Sunday 30 October and took up service on Monday 31 October. Allegedly, she may be here for some time. Certainly brings back memories!!!! Caledonian Macbrayne's Loch Linnhe leaves Tobermory for Kilchoan 15 September 2011. 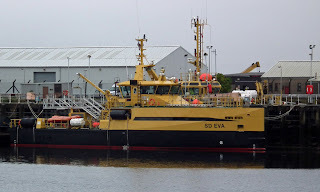 Serco's crew transfer vessel SD Eva in Great Harbour 02 October 2011. 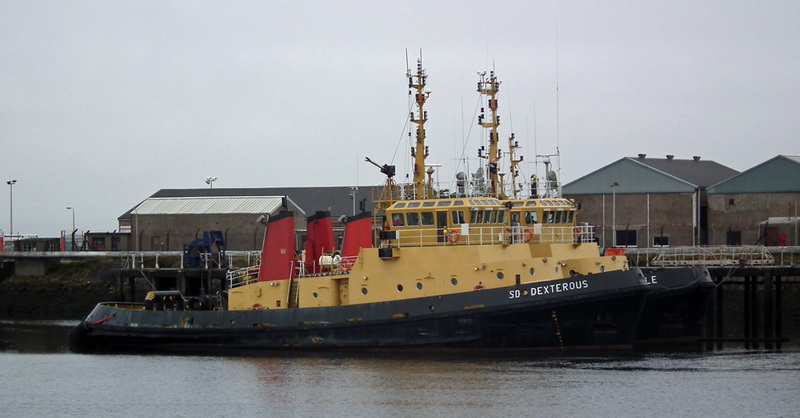 Serco's Twin Unit Tractor Tugs (TUTT'S) SD Nimble and SD Dexterous in Great Harbour 02 October 2011. 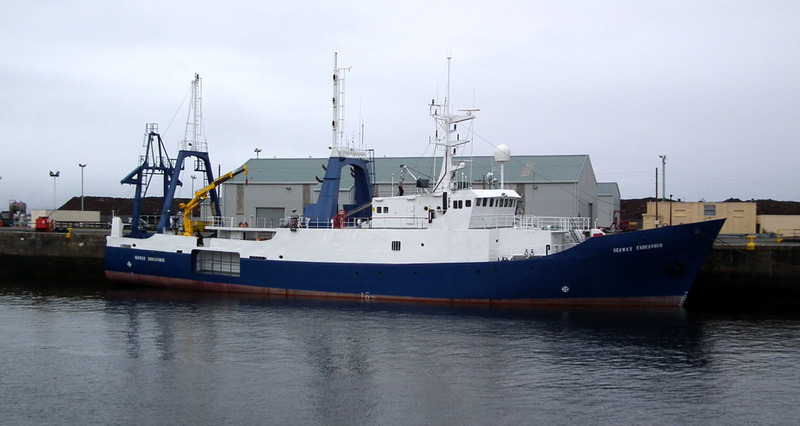 Both vessels are curently for sale on the Damen Trading & Chartering web site. 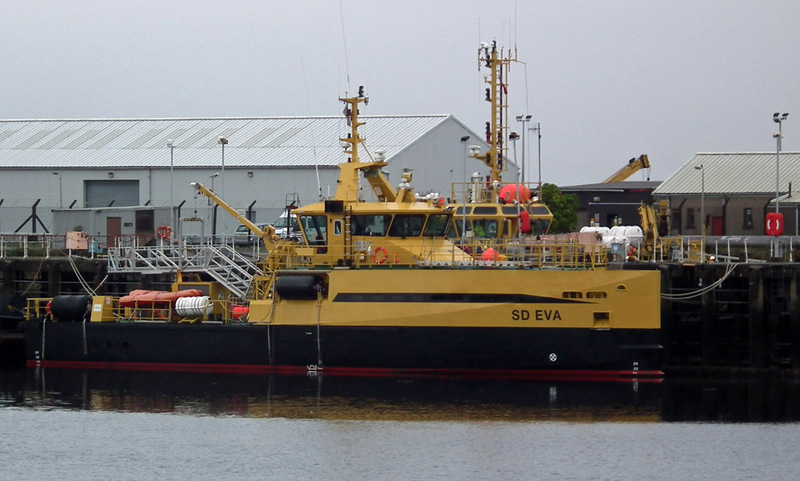 Seaway Endeavour (ex Colonel Templer) in new colours lying in JWD 02 October 2011.